If you are in need of high-quality washing machine repair Ossining service, you can rely on our team. Whether your laundry room appliance is leaking, making strange noise or won’t spin properly, we can fix it quickly and affordably. Just give us a call and we will be there to take care of your washer repair in Ossining, New York! At Appliance Repair Ossining NY, we realize how much stress one can have when a washer stops operating all of a sudden. That is why we are available for same day service across the area and ready to arrive at time that is convenient for you. When you call us for your washing machine repair service, our skilled technicians will arrive fully-equipped with proper tools and parts to address your problem right on the spot. Be it a broken motor, damaged fuse or faulty agitator that is causing the trouble, we will repair washing machine within a short time. Aside from repairs, we are experts in preventative maintenance. By hiring us for regular check-ups,you will be able to improve the overall performance of your unit as well as prolong its lifespan. So don’t wait until your appliance completely breaks down and schedule routine washer service today. Do you need to install a brand new laundry appliance?Then our washing machine technicians are at your service!As experts in all brands and models of washing machines, we can complete the task in a jiffy. Not only will we perform professional washer installation but also make sure the appliance runs the way it should. Dealing with a faulty washer can be really troublesome. 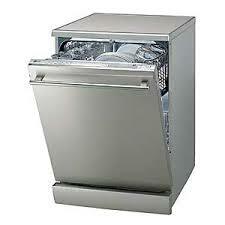 But with our company, your washing machine repair in Ossining can be quick and hassle-free. Get in touch with us today and let our pros set things straight!